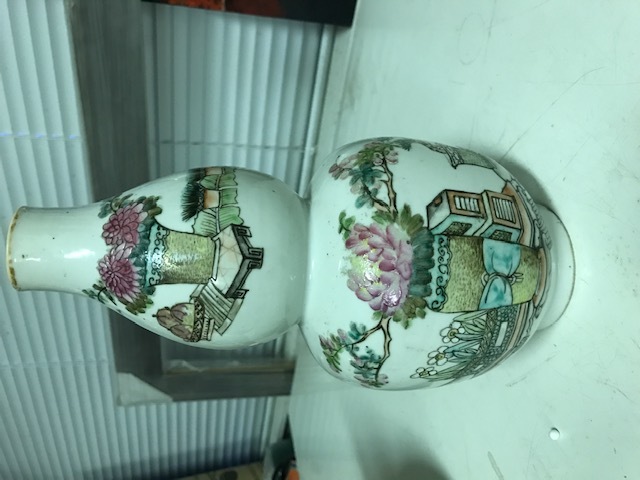 The red stamp mark on the bottun of the vase is "Tongzhi Emperor 1862-1874 " and i believe these are from that periode.ore late 19th. 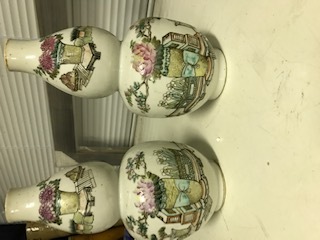 These vases could have a date on the back at the beginning or the end of the poem. But i cant see that on youre picture. 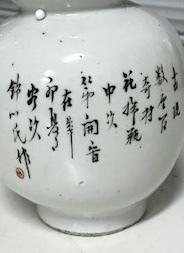 Find a Chinese "Cyclical dating table" (page 34 Gerald Davison) online and compare the symbols. 2 symbols have to match and these are under each other.